Tuesday 28 April 2015 was forecast to be a spectacular day for sailing which turned out to be accurate! The weather gods were clearly on the side of the 27 Hansa entries with almost non-stop sunshine and fair moderate wind from the west. 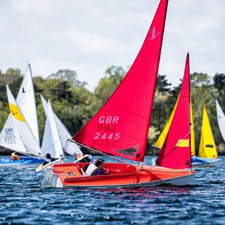 27 entries was a record for Burghfield Sailing Club. A slight downside to having this number of entries was that having one hoist it took longer than expected to get everyone afloat. A trapezoid course was set, which through the steadiness of the wind meant that it didn’t need to be changed or adjusted throughout the four races. Entries within the fleet were very similar. 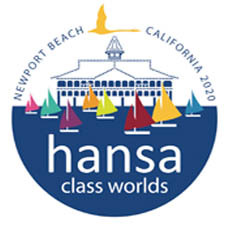 Hansa 2.3: 4 Entries, Hansa 303 one person: 7 Entries, Hansa 303 two person: 7 Entries, Liberty: 9 Entries. Two races were held back to back in the morning, followed by lunch and two more races back to back in the afternoon. Lindsay Burns dominated the 2.3 fleet winning the first 3 races, James Woosnam dominated the 303 one person fleet with a 3rd and three firsts, Peter Etherton and Peta Etherton won the highly contested 303 Double fleet with five points from Andy Sheath / Kate Lintott and Martin Hadley / Steve Kitson who both scored seven points. David Durston won the Liberty fleet with three firsts. As many will know Burghfield SC is located next to the M4 Motorway. Adjacent to the club was where the cement lorry had its accident and deposited many tons of fast setting cement onto the road. The Motorway had to be shut and wasn’t due to be reopened until the following day. The consequence was that ALL the local roads were log jammed at going home time. 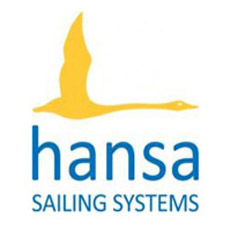 Despite this everyone thoroughly enjoyed the event and we at BSC look forward to welcoming the Hansa fleets again next year.